Visiting Shanghai? Stay at one of these Shanghai hotels. 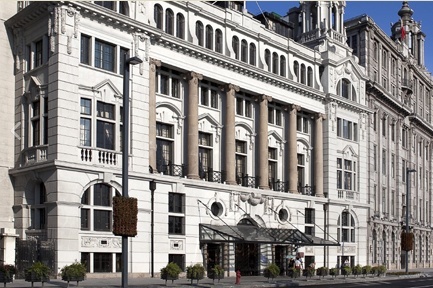 The Peace Hotel was one of Shanghai's most famous landmarks during the glory days of the Bund. Now re-opened, it is home to the legendary Jazz Bar as well as the Jasmine Lounge tea house, Dragon Phoenix Restaurant, and a shopping arcade. This South Bund boutique hotel blends luxury with boho chic. This is the best testimony of understated luxury in Shanghai. 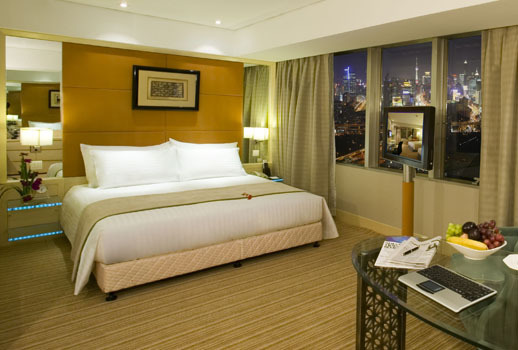 Hyatt on the Bund might be the cheapest in terms of room rates compared to the other two Hyatts in the city but it is nonetheless excellent, with top-notch rooms and great service. 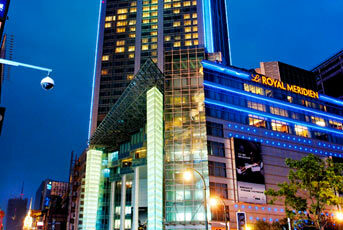 Located at the far end of The Bund, this Hyatt enjoys a unique view of both sides of Huangpu River. Check out the rooftop restaurant Vue for a late night drink, or head to Yuan Spa for some much needed pampering. This beautiful hotel fuses Art Deco design with traditional Oriental style. 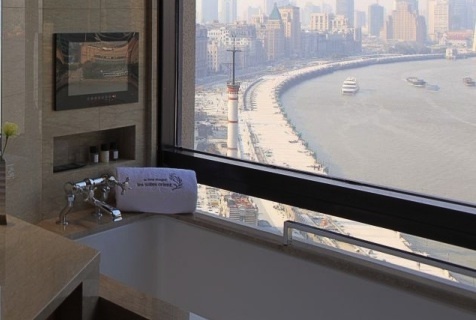 A true boutique hotel, Les Suites Orient Bund Shanghai Hotel is located close to the Bund, offering views over the Huangpu River and the Pudong District. 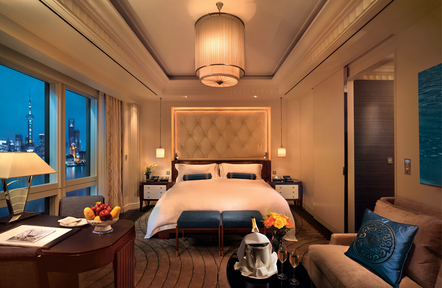 The Peninsula Shanghai is something of a glorious return to China by the Hong Kong-based five-star hotel chain. 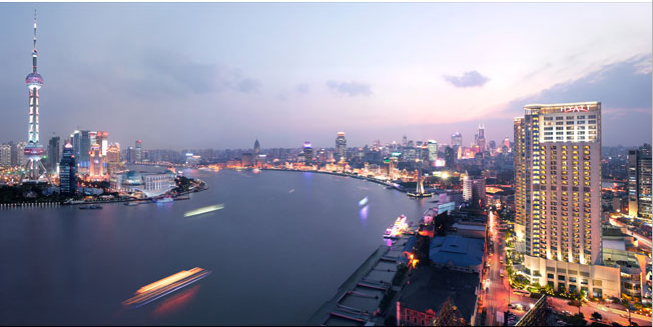 The Peninsula's location at the top end of the Bund puts it on a level with the high-class establishments that line the Shanghai waterfront. 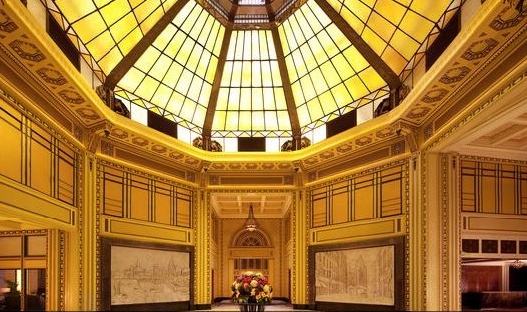 Revisit the glamor and luxury of old Shanghai at this uber-pricey hotel on the Bund. With the Long Bar, Pelham's restaurant, and a tea house, you don't have to be a guest to enjoy its charms. The Waterhouse is a trendy boutique hotel containing Jason Atherton's Table No. 1 restaurant, and a rooftop bar. A decent four-star business hotel with a good location and top services. Home to Pinnacle Peak steakhouse and Misato restaurant. 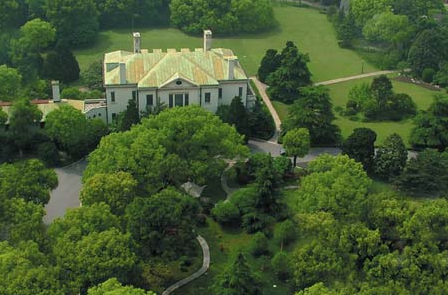 A luxurious Radisson property set among verdant lawns in the former French Concession. Check into old Shanghai at The Langham. 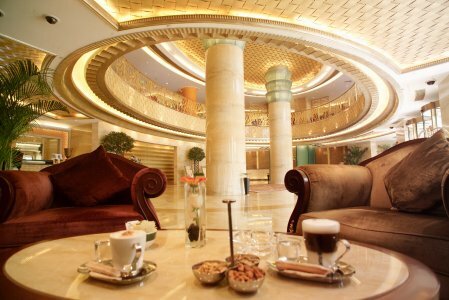 Renovated from a 1930s Art Deco building right by the People’s Square, The Langham brings you back to the golden era with its antique furniture, tinted glass ceilings and classic metal stair rails at the lobby. The 96 rooms are similarly decorated, and are extremely spacious at 40m². The hotel has also imported its Chinese restaurant, T’ang Court, from Hong Kong to Shanghai. Complete your stay with a massage at Chuan Spa. Hungarian architect László Hudec built more than 60 Art Deco buildings in Shanghai from 1918 to 1945 and most of them are still intact today. His masterpiece is the Park Hotel, built in 1934. Right across from the People’s Square, the 22-storey building was the tallest building in the city until the 1980s. 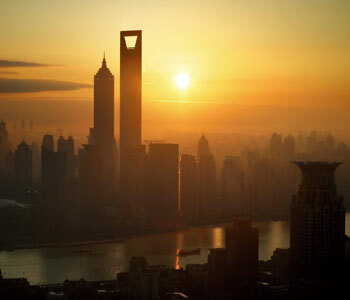 A luxury hotel in Pudong opened by Dubai's Jumeirah group. At least until Dubai decides otherwise, the new Park Hyatt will be in the record books as the tallest hotel in the world. Occupying floors 79 through 93 in the World Financial Center in Lujiazui, the Park Hyatt completes a trifecta for Hyatt in Shanghai, adding to their pre-existing Grand Hyatt and newly opened Hyatt on the Bund. As one would expect from both the “Park” moniker and a hotel occupying what is without a doubt the city’s most tantalizing real estate, the Hyatt is sparing no expense to impress. The 174 guest rooms, including 34 suites, have all been created by New York-based designer Tony Chi, and attempt to incorporate elements of Chinese tradition. The top three floors will be dedicated to F&B, including a restaurant with 25 meter floor-to-ceiling windows. 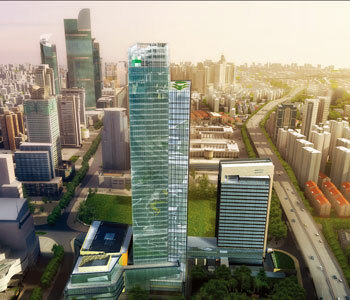 A business-oriented hotel in the Hongqiao commercial district. From the outside, it looks like a 1920s residential building—it’s so low key that you might even miss the entrance at first. But once you walk in, it’s a completely different world: bold colors, contemporary artworks and über-chic décor make up the boutique hotel JIA Shanghai. The hotel has just 55 rooms (with two penthouses), all with stylish designs that make you feel as if you’ve stepped into a magazine spread. Pu li” means "beautiful uncut jade." 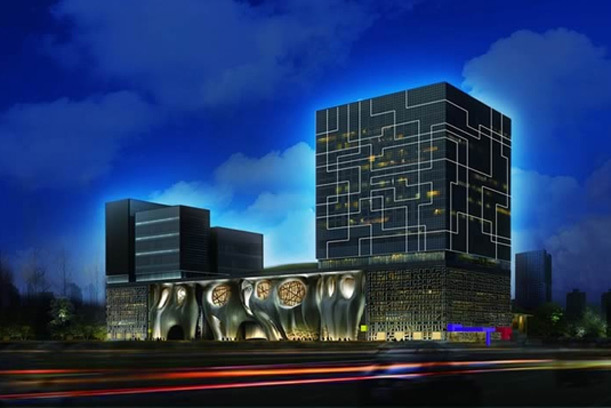 Looking at the design of the PuLi Hotel and Spa, you might be left guessing what the connection is, except for the fact that the 22 floor, 209 room, and 20 suite hotel doesn't fail to impress when it comes to luxury. All of the hotel’s rooms feature flat screen TVs, and DVD players. The 120 seat restaurant serves a Western menu for lunch and dinner, and their first floor bar is adorned with a fireplace. 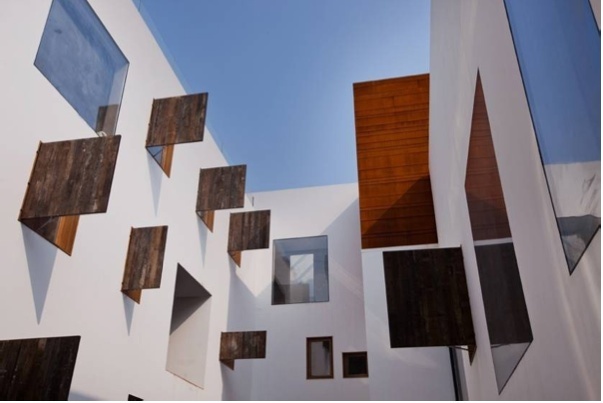 Shanghai's first carbon neutral hotel.